Brighton and Hove Albion's third-round FA Cup meeting with Crystal Palace in January will be the first competitive club match in England in which the Video Assistant Referee (VAR) will be used, the English Football Association has announced. VAR involves assistant referees watching the action remotely and then drawing the match referee's attention to officiating mistakes or missed serious incidents. The system was first deployed in the country when England hosted Germany in a friendly at Wembley Stadium last month, although it was not called on to make a decision. The trials, which will also include next month's League Cup semi-final fixtures, are being led by the Professional Game Match Officials Limited, the group which officiates all Premier League, English Football League and Football Association matches. "The FA has always been open to trialling new innovations and was heavily involved in the advancement of goal-line technology before it was introduced," the FA's director of professional game relations Andy Ambler said in a statement. "The trialling of the VAR system in this season's FA Cup from the third Round is a continuation of that and further demonstrates that whilst being the most famous and historic domestic cup competition in the world it is also modern, progressive and innovative." VARs are being trialled to eliminate obvious errors relating to incidents in game-changing situations such as goals, red cards, penalties as well as cases of mistaken identity. 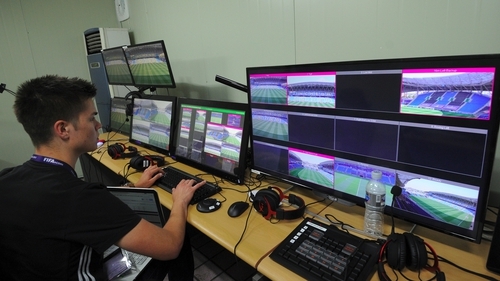 The system has been tested in various competitions around the world and made its debut in the German Bundesliga and Italian Serie A at the start of the season.